It is one of Burne-Jones' most lovely, if unfinished, paintings, and I have always regretted we couldn't see the rest of the image. What was the vision of her? What made Fanny personify 'Hope' for the artist and what did that vision entail? 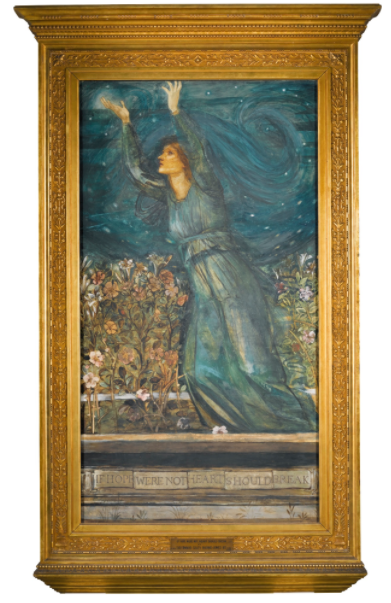 Come to think of it, Burne-Jones spent a lot of time thinking about hope. 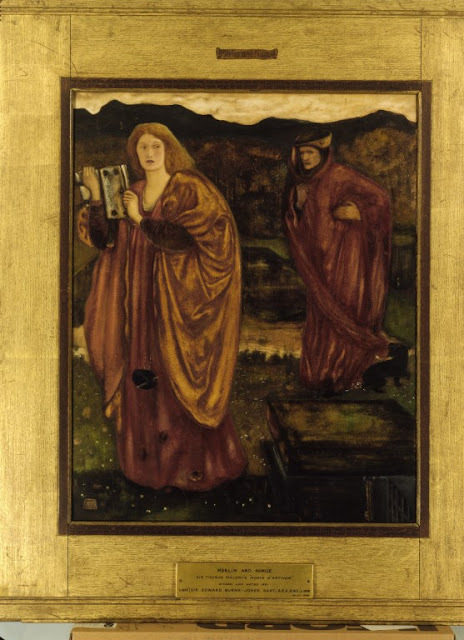 What was Burne-Jones hoping for? The quote comes either from a Stuart clergyman, Thomas Fuller, or a thirteenth century proverb, but the meaning is obvious - don't give up, things will get better etc etc, but also possibly more than that. Hope is essential for living, it is hope that keeps us going. It is an acknowledgement of the power of nil desperandum. I began to wonder if there was a connection between the images of Hope and the times in which they were painted. Did Burne-Jones acknowledge his need for hope at certain times and the paintings were material manifestations of these feelings, or was it just a subject he liked? 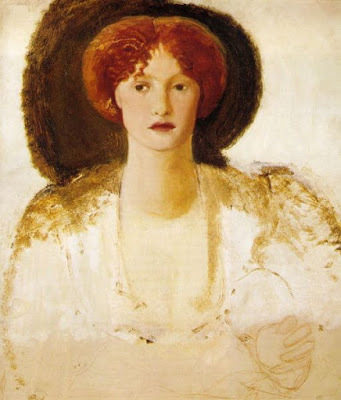 And what does all that have to do with an unfinished painting of Fanny Cornforth? This Hope (1896) was painted towards the end of Burne-Jones' life, and was commissioned by Mrs George Marston Whitin of Whitinsville, Massachusetts. She wanted dancing girls but the artist needed Hope. His best friend, William Morris, had just died and that had dealt a severe blow to him and his work. He offered Mrs George Marston Whitin a painting of a figure reaching up to the heavens, despite the bars that obscure her view. It was at this point he needed to reach up, despite being shackled to the sadness of life. The 1896 oil painting was a copy of an early watercolour from 1871, which had served as a draft for a stained glass window. 1871 was during a personally disastrous period for the artist and his family, much of which was self-inflicted. In Georgiana Burne-Jones' diary the period 1868-71 are simply recorded as 'Heart, thou and I here, sad and alone', as her husband conducted a destructive affair with Maria Zambaco. 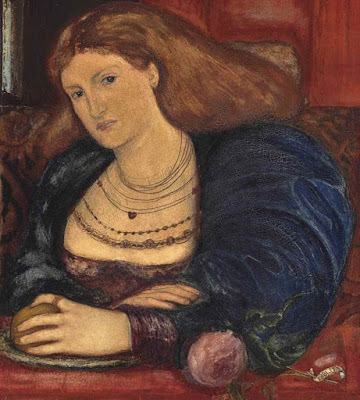 Even though the climax of the affair had been in 1869, with the attempted suicide of Zambaco in the street while Burne-Jones clung to her, Zambaco's image haunted the artist's work and no doubt caused much tension and pain within the marriage. No wonder Burne-Jones needed some optimism that it would all blow over. When Rossetti married Elizabeth Siddal in 1860, he allegedly swore off all models except his beautiful wife. 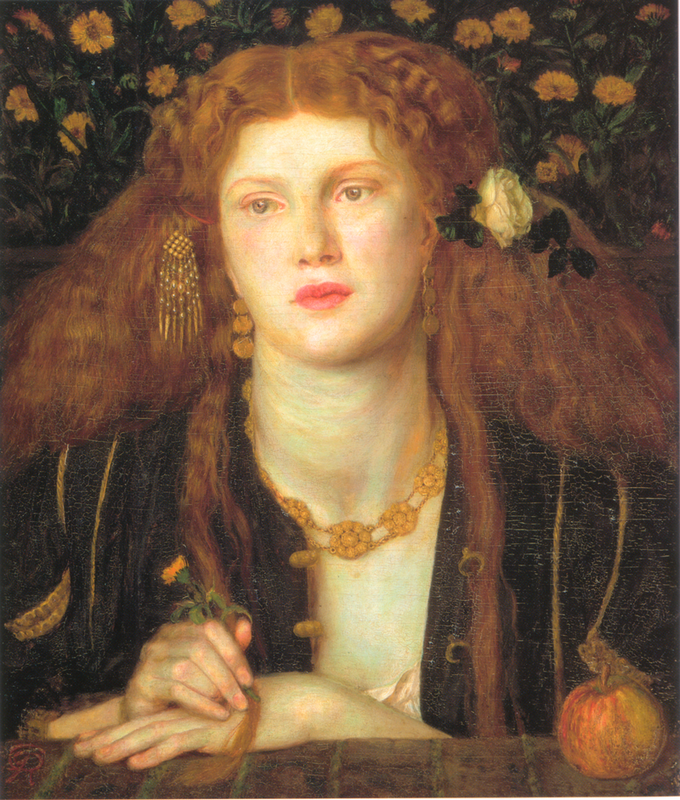 This was a terrible blow to Fanny Cornforth, who had been living a jolly life as his mistress and muse. 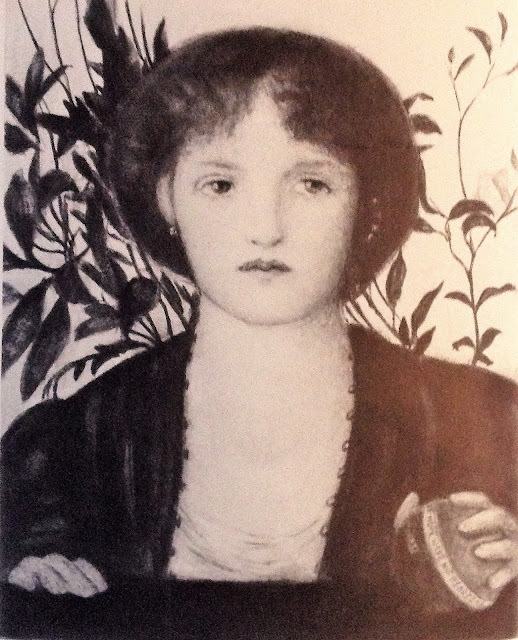 In George Price Boyce's diary we are left in no doubt how seriously Fanny took her relationship with Rossetti - she worried about how Rossetti perceived the time she spent with Boyce and she became bedridden with grief when Rossetti married Elizabeth. She had lost her lover and her income at one fell swoop, but oddly it was Burne-Jones who provided her with work, using her as the beautiful but shifty Nimue and a firey-orange-clad Venus in Laus Veneris. He also started the abandoned oil entitled Hope, possibly because by the time he worked on it, Mrs Rossetti had died and Fanny had been reunited with her erstwhile and damaged beloved. She was definitely in need of hope, in need of the reassurance that all would get better, but aside from the whistful face, very little else of the oil painting was clear, and I had always wondered what the finished picture was going to look like. Seen together these canvases are obviously related and the rest of the unfinished oil can be transposed across from the gouache. In her hand she holds an orb with the inscription 'If hope were not, heart should break', and the dark jacket revealing the white underclothes beneath seems to be inspired by Bocca Baciata. 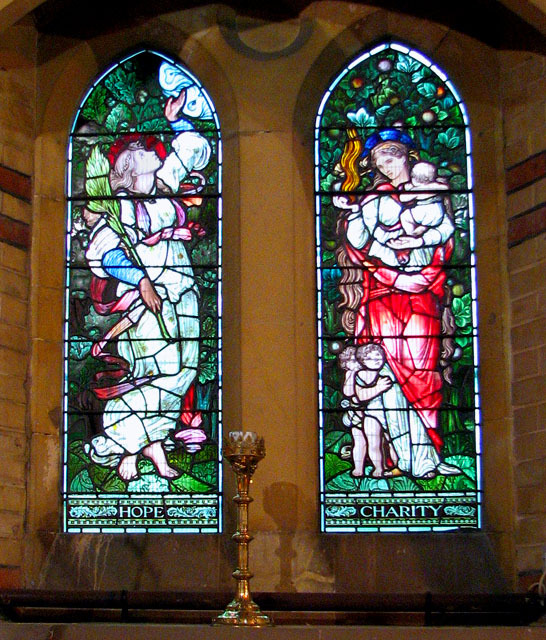 Unlike some of Burne-Jones' other images of Fanny, there seems to be kindness here, a sympathy for her situation where she was truly helpless. All the threat of power that exist in his other images of her is absent and Fanny is just a woman literally holding onto hope and waiting. Unlike his later figures of Hope, Fanny doesn't reach up, or seem to be imprisoned, she just sits there with her little handful of hope, waiting for the call from her beloved. Maybe the reason Burne-Jones never finished the oil is because the call came, but at another's expense.